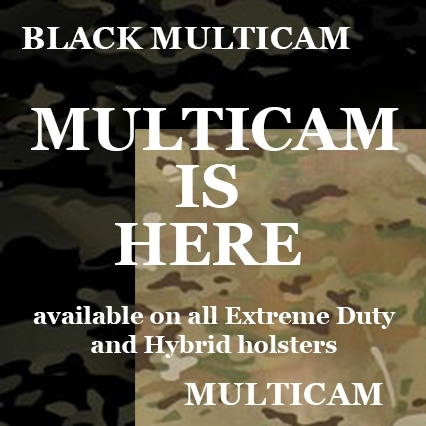 Are you looking for a best-in-class holster equipped with a host of cutting-edge features that will maximize performance and comfort? Do you want a high-quality product that is designed to your specifications and made to last? 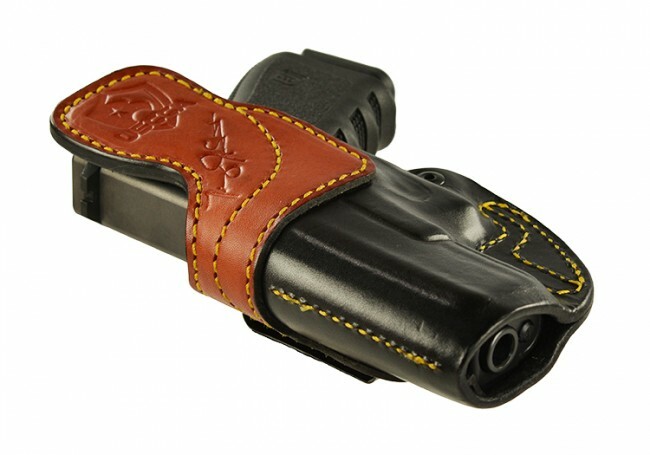 The Tim Schmidt Signature Holster from High Noon Holsters will meet your requirements. You'll get an expertly designed, meticulously crafted holster that will serve your weapon carrying needs for years to come. We’ve partnered with Tim Schmidt, President and Founder of the USCCA, a company dedicated to educating, training, and ensuring responsibly armed Americans like YOU, to bring you the limited-edition Tim Schmidt Signature Holster. 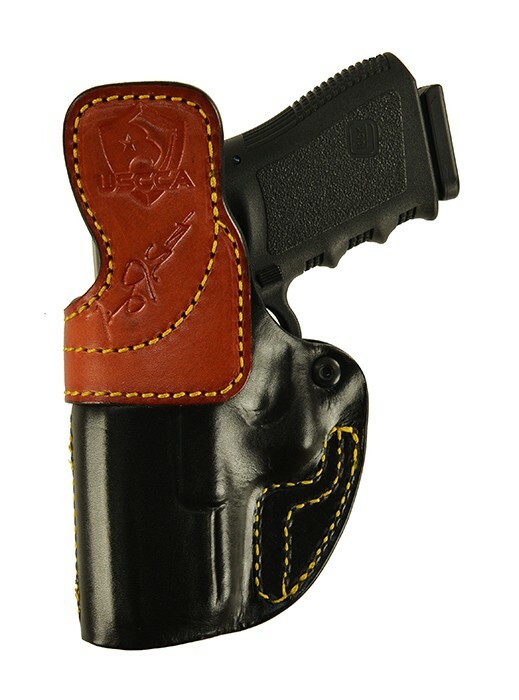 We’re proud to present this high-quality holster, handmade right here in the USA from 100% American cowhide. 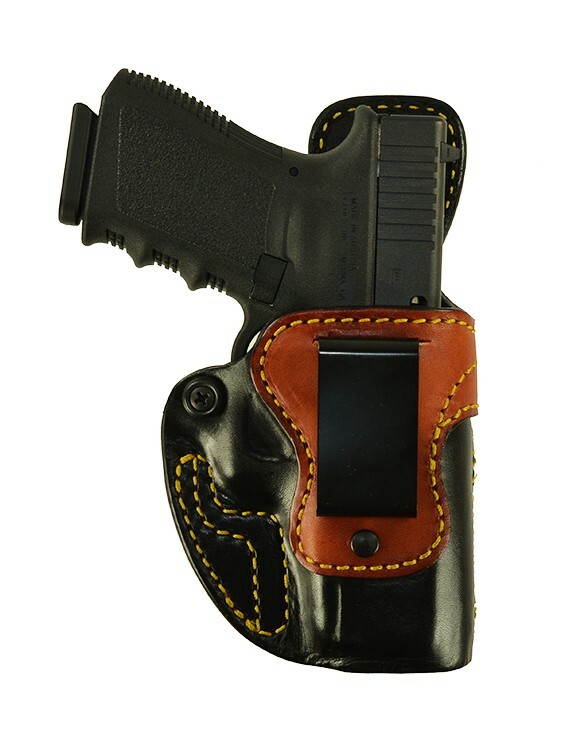 Modest yellow stitching compliments this holster's black body and contrasting tan leather trim. 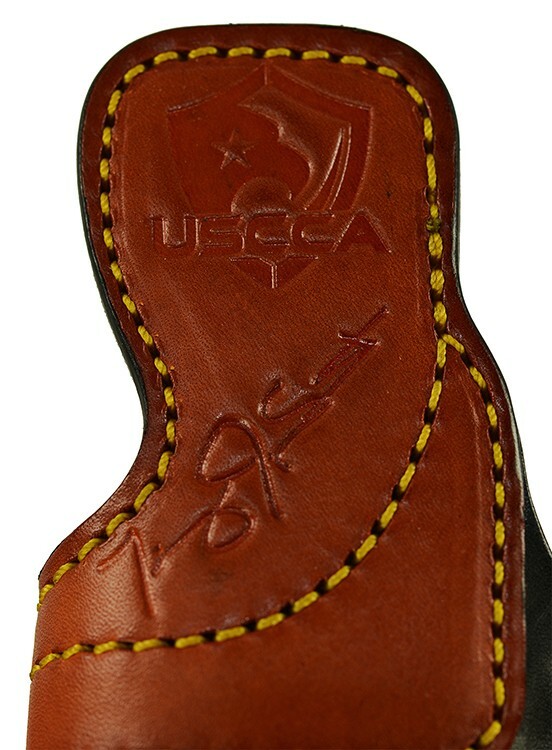 The USCCA logo and Tim Schmidt signature add flair to the custom leatherwork, which will be molded specifically for your handgun. High Noon Holsters has been producing innovative items like the Tactical Tim holster for more than 20 years. Our focus on quality, craftsmanship and attention to detail sets us apart from our competitors. We also promise to do whatever it takes to make you a satisfied customer. If you're not happy with your holster for any reason, please let us know right away! We can often correct the problem via a quick phone conversation or email. But if that doesn't resolve the issue, you can return the holster to us within 14 days of receipt for a refund. 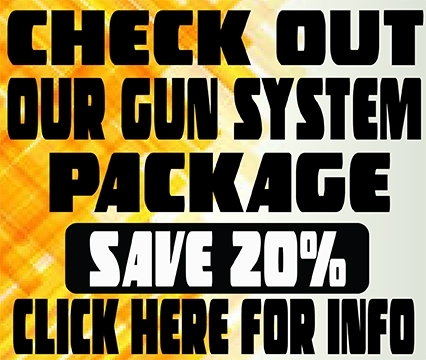 Whether you're purchasing the Tactical Tim only or combining it with other products, you'll appreciate our streamlined ordering process using our upgraded e-commerce site. You'll be able to build your wish list in no time. When you're ready to check out, you can do so quickly and securely with your payment method of choice. 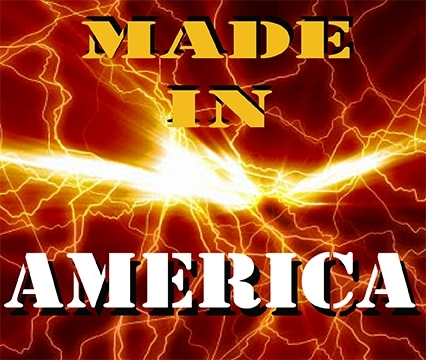 We offer Discover, PayPal, MasterCard, Visa and American Express. 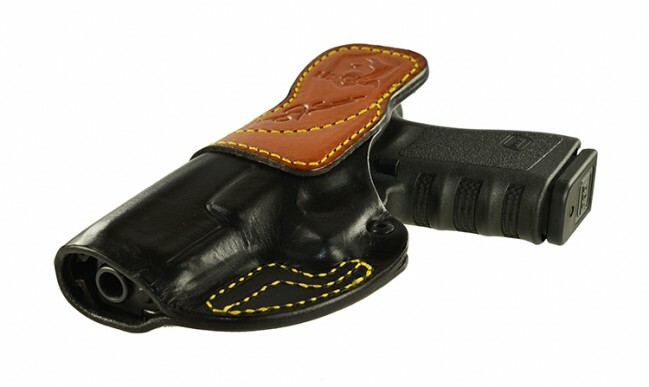 This limited-edition Tim Schmidt Signature Holster is made to order and is not a stocking item, which means it is not available for immediate shipment. Handcrafting this leather holster may take three to four weeks. But that doesn't mean you have to wait that long to get yours! Please note that rush service is available if you choose not to wait the full manufacturing time. If you select rush shipping, you can receive your Tactical Tim in as little as 7-10 days. Order Your Tim Schmidt Signature Holster Right Now! The sooner you place your order for the Tim Schmidt Signature Holster, the faster you'll be able to experience its numerous benefits. 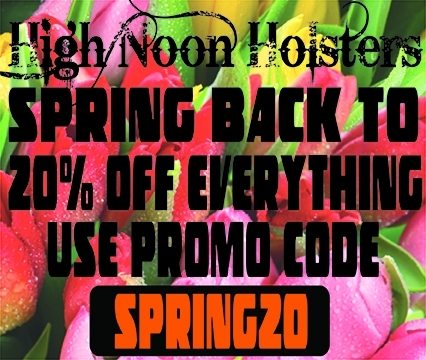 Purchase yours from High Noon Holsters today! If you have questions or need assistance with customization, don't hesitate to contact our helpful customer service team.